Thank you, Ann Arbor, for 5 great years! Calling Ann Arbor’s animal lovers! The Toledo Zoo graciously invites you to enjoy the old world and our world! Eat, drink and learn as we intertwine the old world experience of this innovative restaurant with our important global conservation initiatives. 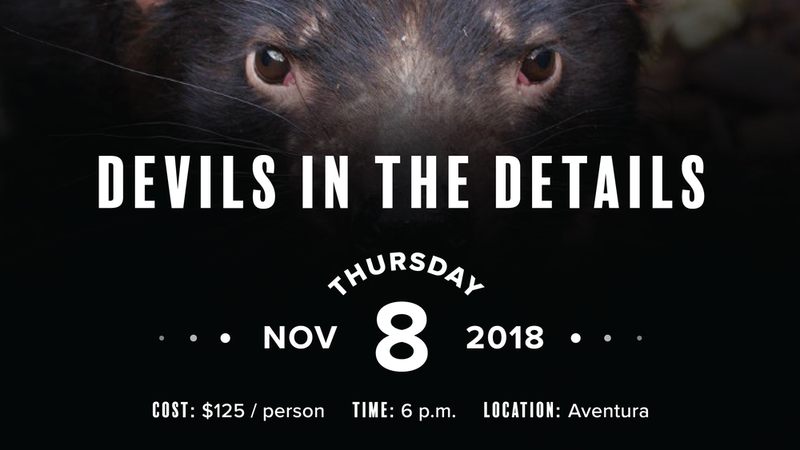 The evening will include Aventura’s signature tapas and cocktails along with a presentation from Zoo staff working Down Under to save Tasmanian Devils from the brink of extinction. Maybe it’s the weather, but we seem to be in the mood for wines from the hotter climes! Join sommelier, Kelsey Wonsavage, for her monthly tour of some of her faves, this time from south of the equator. Delicious morsels to accompany from Chef Josh Cross. 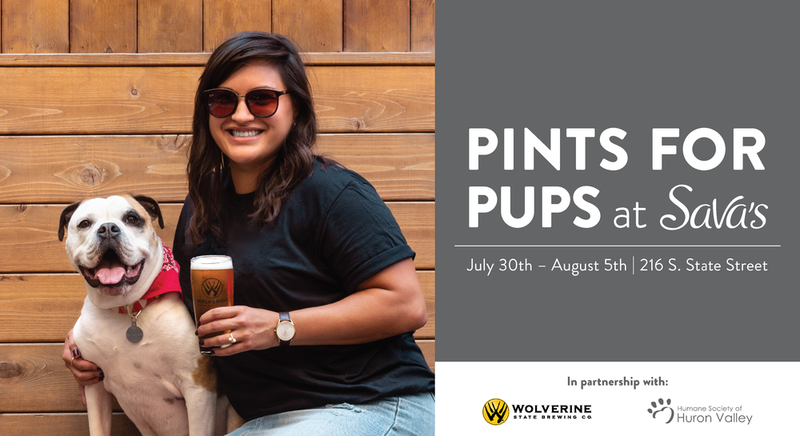 For every pint of Wolverine State Brewing Co. beer sold, half the proceeds will be donated to the Humane Society of Huron Valley. Not valid during Happy Hour. Dogs welcome on the patio only. In partnership with Wolverine State Brewing Co. and the Humane Society of Huron Valley. Jet off to Spain for the summer and be transported to beautiful España with our Summer in Spain Descorchado — A Mix & Mingle Wine Tasting! Sip on refreshing Spanish white, rosé, and red wines — discover the unique offerings of each region while enjoying authentic cured meats and cheeses. We can't wait to be your Spanish wine tour guide! Let’s celebrate warmer weather with All The Rosé! 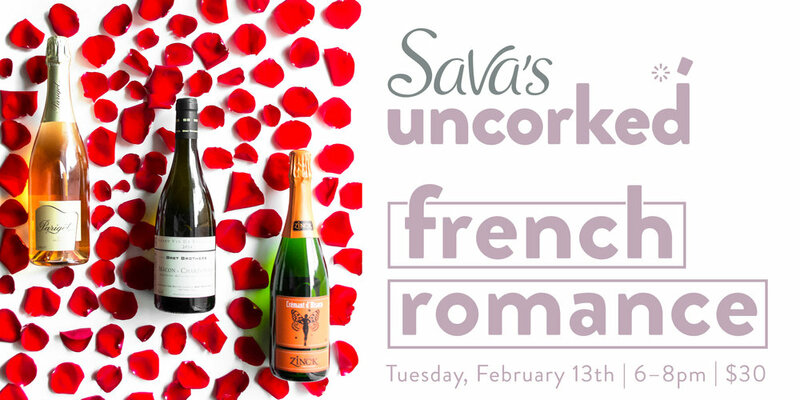 Join us at Sava’s for a night of fun and social wine tasting with fruity, earthy, and floral rosés from all around the world. 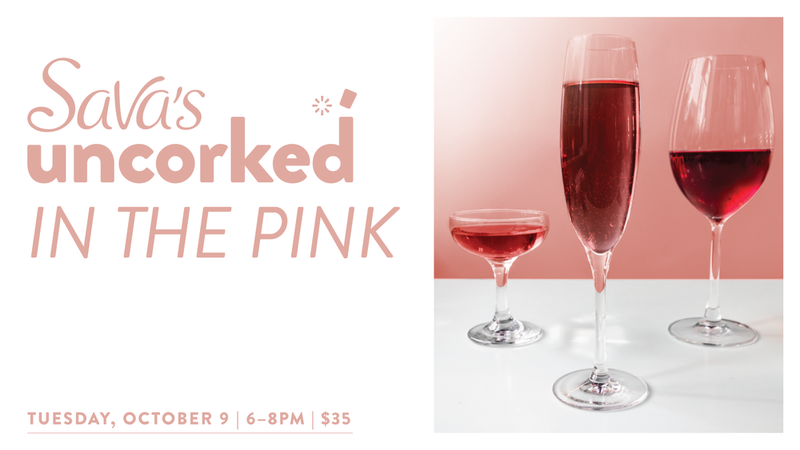 We’ll provide light snacks and a sparkling surprise! We can’t wait to celebrate the start of rosé season with you. Cheers! 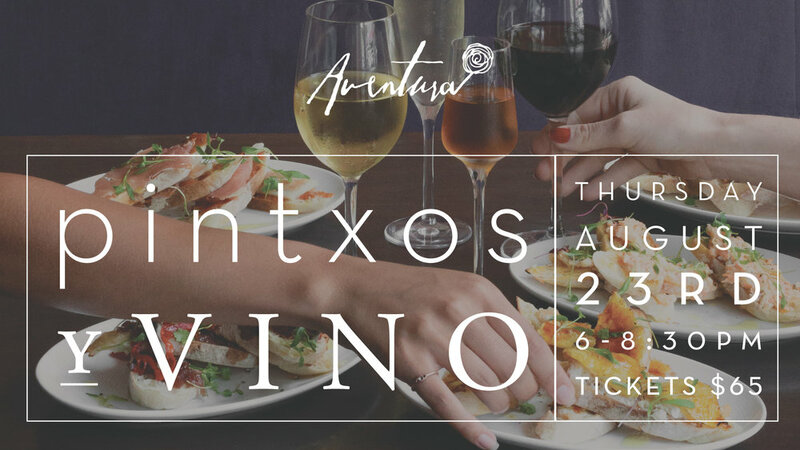 Join us and be transported to the Cellars of famed Spanish Winemaker Ana Martín Onzain–be enchanted by her stories and lovingly made wines, all paired with deeply authentic Spanish cuisine! 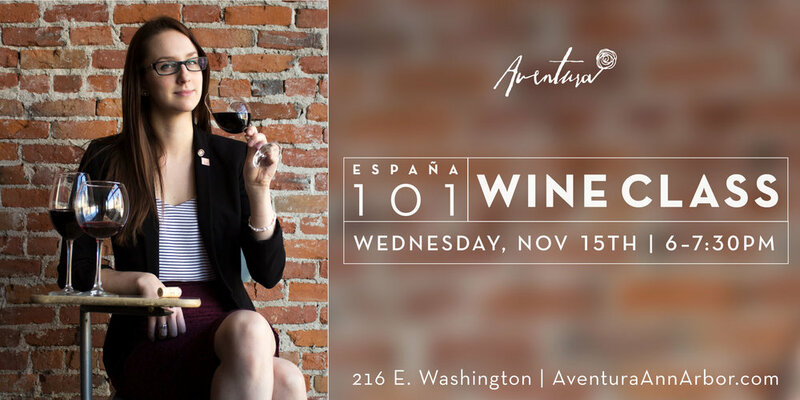 Ana is among the most influential and highly regarded winemakers in Spain and will be joining us at Aventura for a night of handcrafted Spanish wines and tapas! You’ll get to hear Ana’s story on how she became a winemaker “by chance” to becoming the lead winemaker at Castillo de Cuzcurrita, a Spanish winery built in a medieval castle, and one of Spain’s top consulting winemakers. She is a person of great energy and creativity. Ana has a beautiful story that has carved the path to the enchanting wines that you’ll enjoy. We can’t wait for you to be a part of the experience! 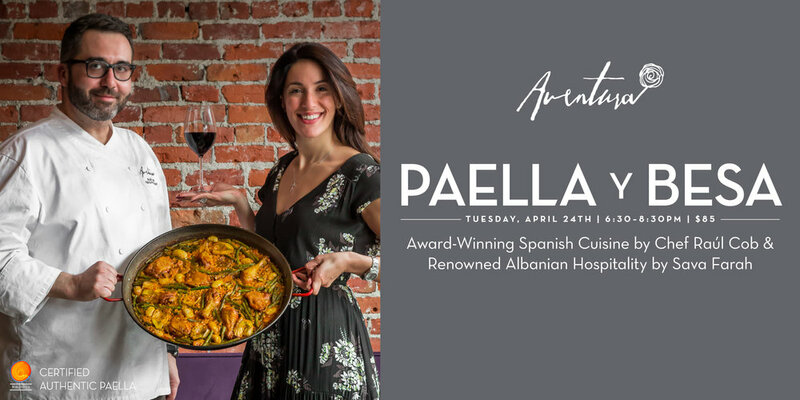 For one night, we join together and celebrate Chef Raúl Cob’s Award-Winning Spanish Cuisine and Sava Farah’s Renowned Albanian hospitality–with delicious Spanish wines to pair, of course! They don't call it the 'Garden of France' for nothing... if the wines of the Loire Valley don't already remind you of spring, they should! 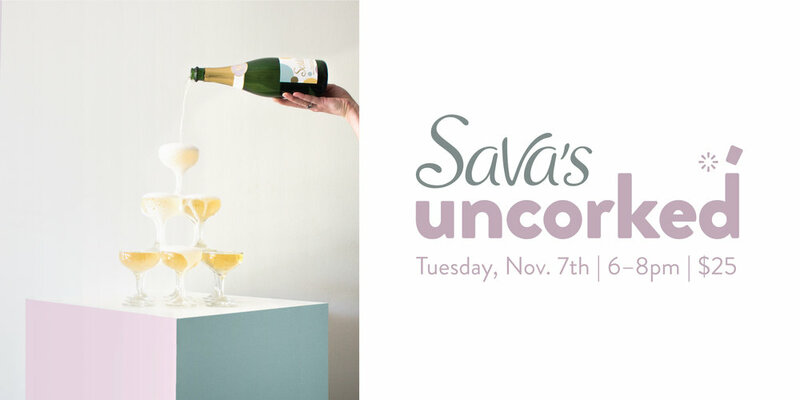 Come see, taste and smell why, with April's Uncorked at Sava's – Mind-blowing whites, refreshing rosés, and reds that heighten anyspring fever. Even the most savvy Sherry or Madeira drinker will admit to never knowing enough—the learning (and enjoying) opportunities may actually BE endless. Aventura sommelier, Kelsey Wonsavage, is here to help with her next Wine Class installment. And yes. She actually gets paid to do this stuff. Join Kelsey for a primer on both Sherry and Madeira, and what makes them both so elusive, sometimes daunting, and always exotically enchanting. Try both sweet and dry styles, and with traditional Andalusian and Valencian nibbles for keeping your wits about you. Romance is universal, but let's face it... the French work it like it's their job. Join us for this special Valentine's Day version of Uncorked, where we'll revel in the literal fruits of their love's labors. Still, sparkling, red, pink–Vive l'amour!! Join us for dinner and drink specials, late evening hors d'oeuvres, a cava toast at midnight, live jazz or... all of the above. Let's make a night of it! 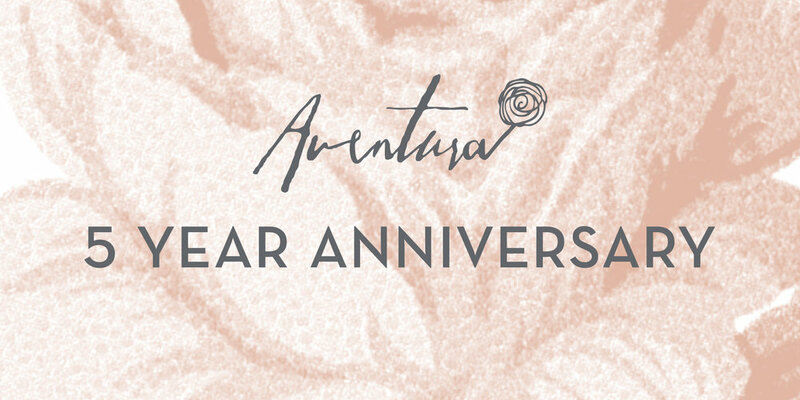 • We'll be taking regular reservations and dinner walk-ins through 8:30p, offering celebratory menu and drink specials. 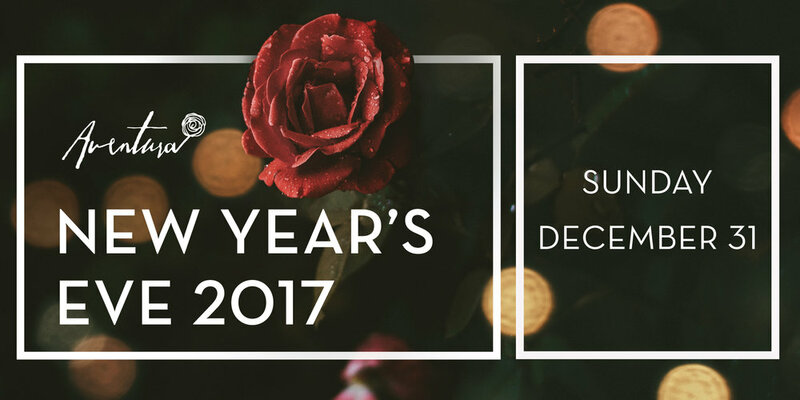 • Our ticketed celebration runs from 10p-2a, beginning with a welcome cocktail and tapas buffet, on to passed hors d'oeuvres, then a Cava toast to ring in 2018! 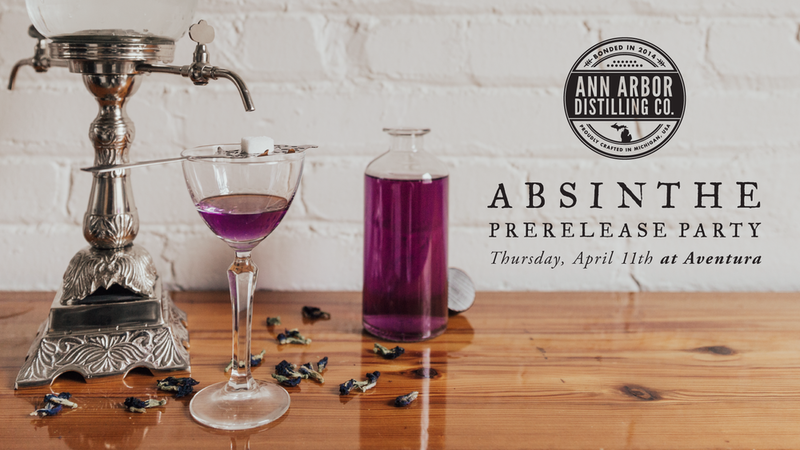 Tickets are $50 in advance and at the door… only 100 available. Not the same old wine tasting, and definitely not your average lecture... this is Aventura Wine Class! Led by certified sommelier, Kelsey Wonsavage, you'll get a crash course in the wines of Spain; varietals, viticultural, winemaking practices, the whole shebang. And--you get to drink the wine too. This might just be the quintessential no-brainer. Join us for a fun and social wine tasting! 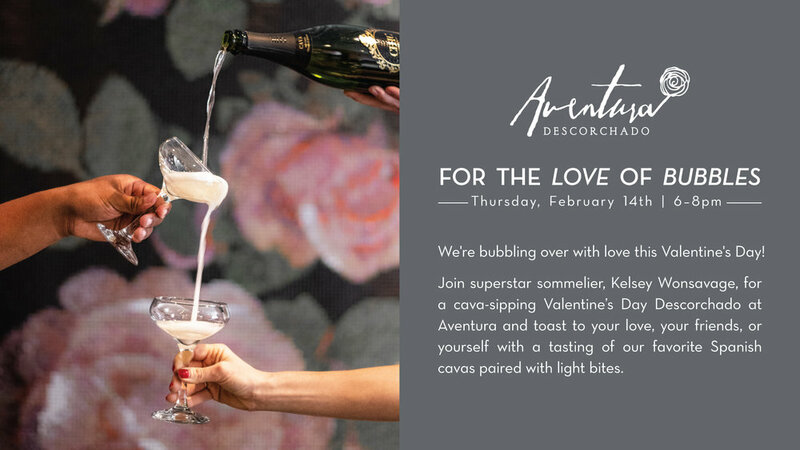 Champagne, Crémant, Cava, Sekt… bubbles, bubbles and all the bubbles! Get in on it quick, folks, this one’s going to sell like Ace of Spades at the TAO. 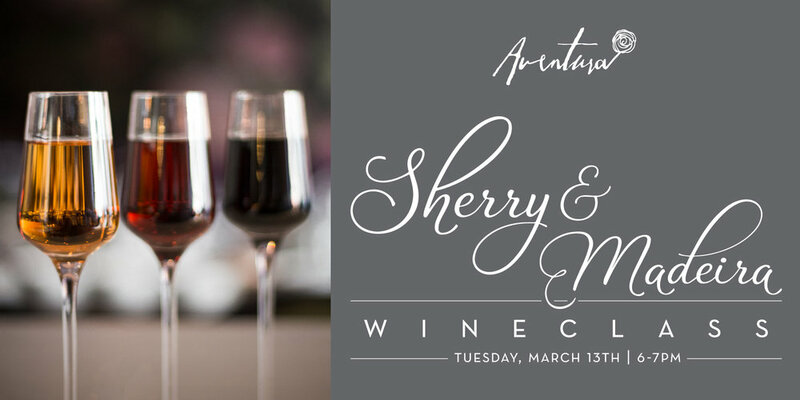 Join Chef Raúl Cob and sommelier Kelsey Wonsavage for an intimate, five-course dinner in Aventura’s sumptuously seductive wine cellar. 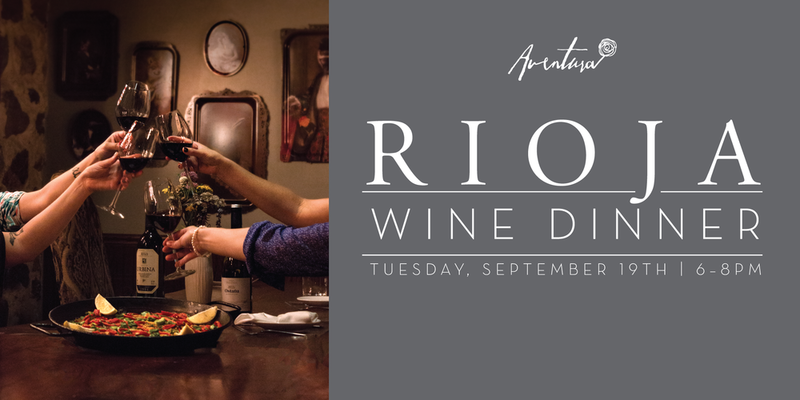 Enjoy both wines and traditional dishes from Spain’s Rioja, alongside the fine company of your fellow food + wine lovers. 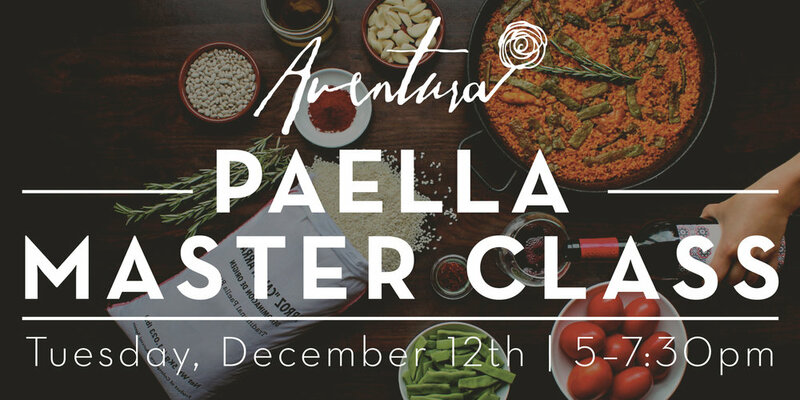 Join Chef Raúl Cob for an intimate and interactive cooking class where you’ll learn traditional techniques while preparing your very own paella over an open flame. 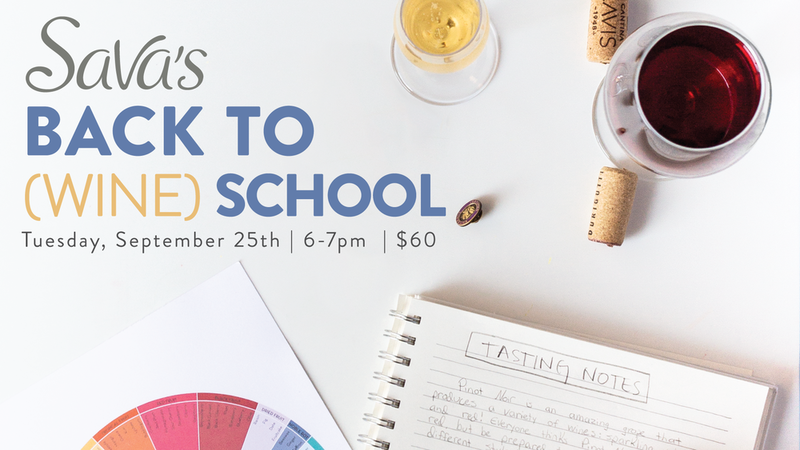 Wine and tapas will be provided to fuel your creative culinary process. Who: Perfect for couples or small groups of friends, this class is restricted to five tables of four masters-in-training. How: We’ll provide everything! Ingredients, tools, recipes and of course - expert instruction. What: Paella Del Mar: Spanish rice, squid, shrimp, clams, mussels, piquillo peppers, tomato, garlic, paprika, saffron, (and perhaps a few secret ingredients). Hurry, while the weather's still on our side! Note: In the case of rain, all registered attendees will receive a cancellation call and full refund one hour prior the event start.